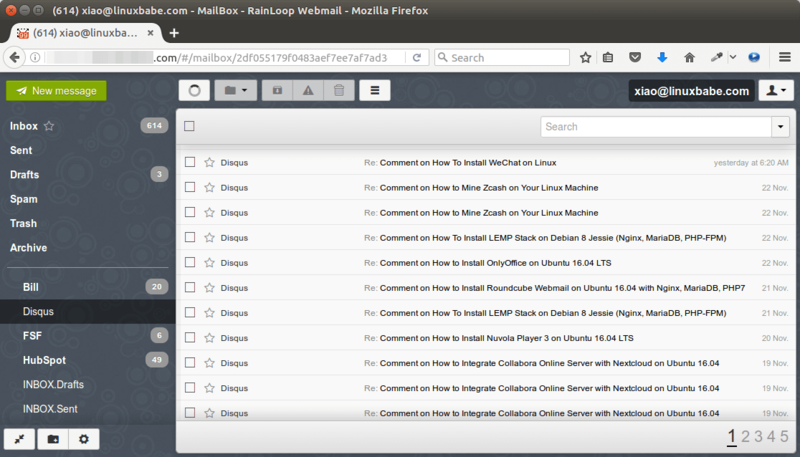 RainLoop is a simple, modern, fast and open source Web-based email client written in PHP. 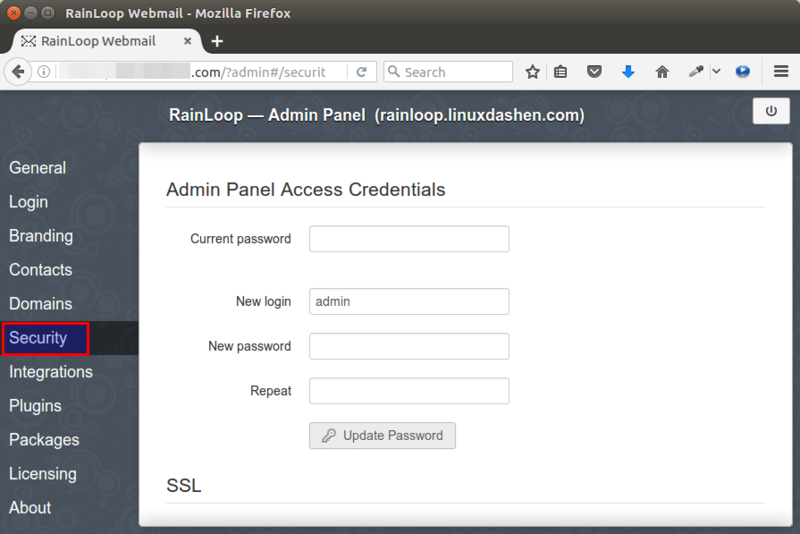 This tutorial is going to show you how to install RainLoop Webmail on Ubuntu 16.04 with Apache or Nginx web server and PHP7. Supports both SMTP and IMAP. Supports multiple accounts, which means you can access all your email addresses from one place. Integration with Facebook, Twitter , Google and Dropbox. Direct access to mail server, no database needed. standard edition released under the RainLoop software license. We will use the free and open source community edition in this tutorial. And install the following PHP extensions which are required by RainLoop. First, make a directory for rainloop in the current working directory. Once that’s done, move this directory to /var/www/. Now set web server user (www-data) as the owner. We can use either Apache or Nginx web server. Put the following text into the file. Replace red text with your actual info. If you want to add HTTPS to webmail, then you can obtain a free TLS/SSL certificate from Let’s Encrypt CA. First Let’s install the certbot client. The following command will install the client and apache plugin from the official certbot PPA. Now issue the following command to obtain a free TLS/SSL certificate. Replace the red-colored text with your actual email address and domain name. You will be asked to choose easy or secure. It’s recommended to choose secure so that all http requests will be redirected to https. Once you hit the OK button, a free TLS/SSL certificate is obtained and installed on the Apache virtual host. Put the following text into the file. Replace mail.example.com with your own domain name. If the test is successful, reload Nginx configurations. Let’s obtain a free TLS certificate from Let’s Encrypt. The following command will install the certbot client and Nginx plugin from the official certbot PPA. Then use the Nginx plugin to obtain and install the certificate by running the following command. Replace red text with your actual email address and domain name. You will see the following text indicating that you have successfully obtained a TLS certificate. Your certificate and chain have been saved at /etc/letsencrypt/live/mail.example.com/ directory. The Nginx plugin automatically install TLS certificate for you. Now if you visit http://mail.example.com, you will be redirected to https://mail.example.com. Log into RainLoop admin panel via the following URL. Default username is admin and default password is 12345. Once you are logged in, it’s recommended to change both your username and password since admin is an easy target. Click the security tab on the left pane. Update your password first, then re-login and update your username. To access your emails through RainLoop, you need to configure email server settings in the Domains tab. By default, 4 email domains are added: gmail.com, outlook.com, qq.com, yahoo.com. The SMTP server settings and IMAP server settings for these email domains are configured by RainLoop, but only Gmail is enabled by default. To enable other 3 email domains, simple put a check inside the box to the right. To be able to access your own email server, click the Add Domain button and enter the IMAP and SMTP server settings of your own email server. Note that you can enter 127.0.0.1 or localhost in the Server field if Rainloop and Postfix/Dovecot are on the same server. This removes the need to look up DNS and will also fix connection problem if your server hostname has both A and AAAA record. You also need to enable your own email domain by putting a check inside the box on the right, or the error domain is not allowed will appear when logging into your email address. 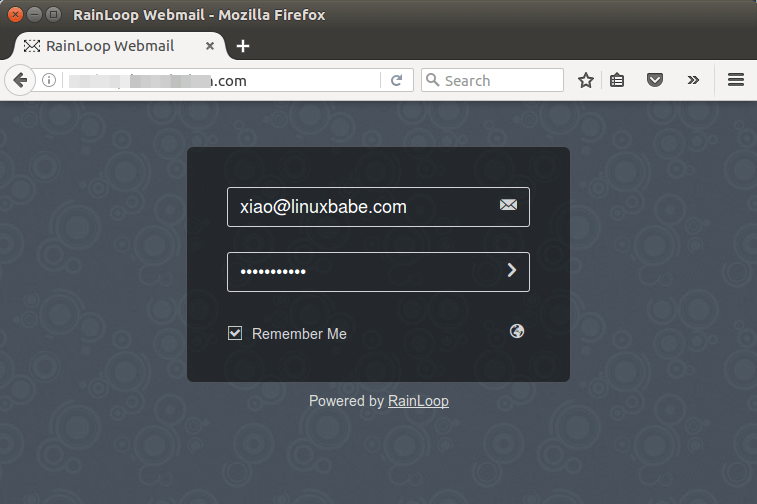 After finishing the configuration, enter your RainLoop webmail domain name in browser address bar without /?admin suffix. And log into your email account. If authentication failed, then you may need to enable short login in the IMAP server settings page. That’s all you need to do in order to access your emails on Gmail, outlook mail or your own email domain. If you add multiple email accounts, you can easily switch between them from the user drop-down menu. Very cool indeed! 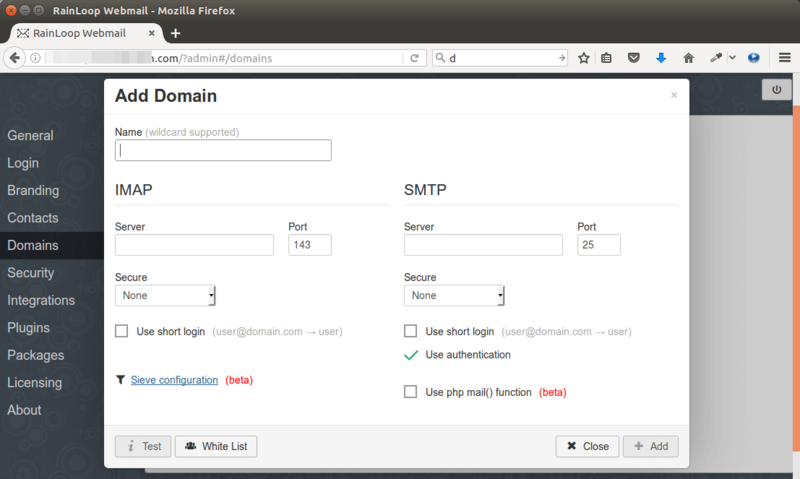 You can also configure other settings and customize your webmail interface. 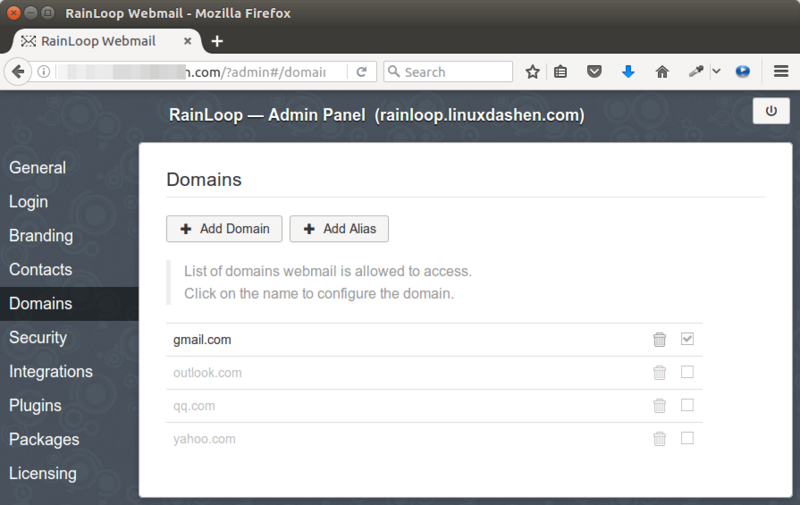 I hope this tutorial helped you install RainLoop Webmail on Ubuntu 16.04. As always, if you found this post useful, then subscribe to our free newsletter.You can also follow us on Google+, Twitter or like our Facebook page. Thanks for the detailed tutorial. i was searching for webmail setup with my new ubuntu installation. Thank you very much (Y). When I’m using nginx process, After installation unable to login as admin. What did you actually mean by the phrase “This removes the need to look up DNS and will also fix connection problem if your server hostname has both A and AAAA record”? We have servers that has both A and AAAA records for IMAP and SMTP servers. Is this a problem?